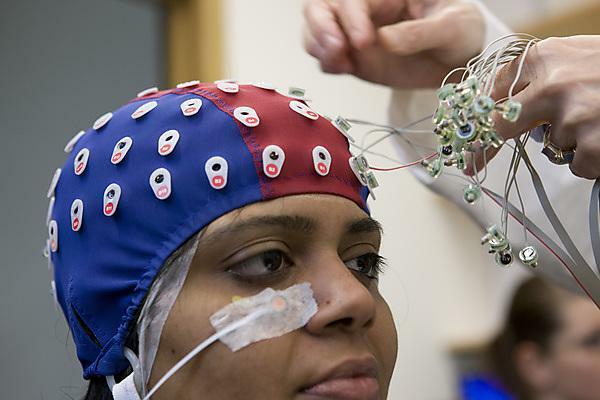 The Neuroscience Research Group uses a range of techniques, including work with clinical populations and neurological patients, brain recording techniques such as EEG/ERP (in Plymouth) and fMRI (currently based at the imaging centre in Exeter). It also uses electromagnetic stimulation, behavioural measurements such as eye-and motor-tracking, and computational modelling. This group collaborates with colleagues in the Centre for Robotics and Neural Systems (CRNS), the Centre for Biomedical Technologies (CBiT) and the Clinical Neurology Research Group. For further details, please contact Patric Bach. The Vision and Action Research Group (Patric Bach, Mike Tucker, Ed Symes and Giovanni Ottoboni) investigates the relations between the visual and motor systems, in programs funded by the ESRC and EPSRC. Patric Bach, the most recent appointment to this group, extends this work into the social domain, investigating the influence of action on our perceptions of other people. The work of this group has made a significant contribution to the developing field of embodied cognition and has clear implications for developments in intelligent robotics.